Pesach Barbecue-Does Charcoal require a Hashgacha for Pesach? 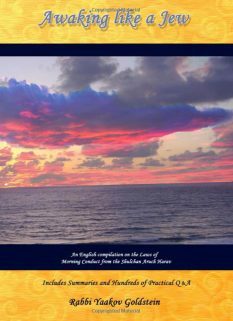 Home >Daily Halacha >Pesach Barbecue-Does Charcoal require a Hashgacha for Pesach? The charcoal making process: Charcoal is produced by drying wood, such as timber wood, and then heating the wood to a very high temperature until it blackens. The wood is then crushed into pieces of ash and combined together into small squares, known as briquettes, using a starch binder, either of corn or wheat. 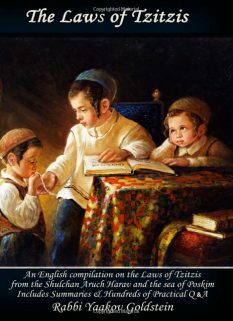 The reason: Although the charcoal is not edible, and is hence like all non-food products that are permitted to be owned and benefited from, nonetheless, they remain Rabbinically forbidden to be intentionally consumed due to Achshavei. [See Admur 442:22 and 32-33; 445:11] Now, since the coals release heat and smoke through which the food is cooked and flavored, the food certainly contains taste of the coal, which would include taste of the starch that is in it. 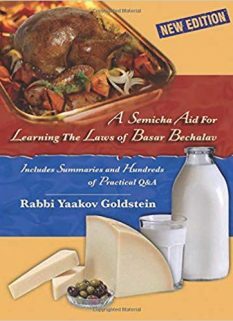 One cannot argue that the Chametz starch is nullified to the other ingredients and hence permitted in use, as an intentional ingredient is not nullified even in 1000, even regarding the Rabbinical concept of Achshavei. 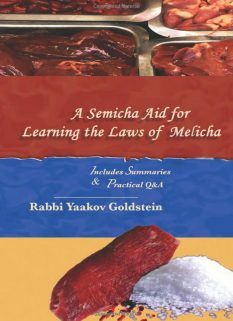 [Admur 442:22] Now, although one can argue that perhaps the concept of Achshavei does not apply in such a case, as there is no actual starch that enters one food, and it is merely the burnt taste that penetrates, and hence we find ruled in 445:11 that one may cook using Chametz charcoal that was created prior to the 6th hour of the 14th, nevertheless perhaps that only applies in previous times when the intent was not to add flavor of the ash to the food, and it was simply the only cooking method available. However, by today’s charcoal, since one certainly intends to enter the flavor of the coal/ash into the food [as this is one of the prime reasons people grill using charcoal-so it receive a smoked flavor] perhaps this would contain an Issur of eating due to Achshavei. 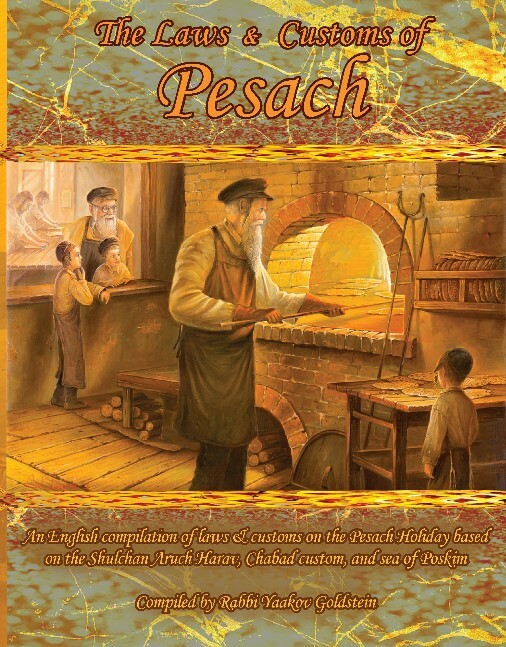 In addition, regardless of the above, the custom is to abstain from using Chametz charcoal for cooking over Pesach, even if it became charcoal before Pesach. [Admur 445:11 and in Siddur; M”A 445:4; Tur 445; Maharshal; Maharil; P”M 445 A”A 4] The reason for this is because one may come to end up using Chametz charcoal that was created on Pesach. [Beis Yosef 445; P”M ibid; Rebbe in Haggadah] Accordingly, one is to abstain from using charcoal briquettes that do not have a Hashgacha. Admur 445:8 “Even the ash and charcoal of the Chametz are forbidden in benefit”; Many companies ship the briquettes the same day of production. The OU and CRC both write that charcoal does not require a Hashgacha for Pesach. The reason: As the simple understanding of Admur 445:11 is that one may cook using Chametz charcoal, irrelevant of whether it adds flavor to one’s food. 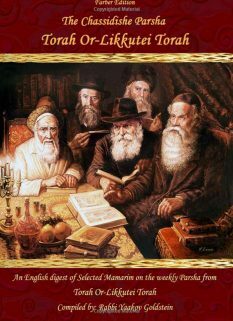 The reason for this way of understanding is possibly due to that the Rabbinical prohibition of Achshavei does not apply to the smoked flavor of a product, and only when eating the actual Mamashus. This is in addition to the fact that some Poskim rule it is permitted to even eat Chametz that was destroyed before the 6th hour. [See Peri Chadash and Rashbatz, brought in Kaf Hachaim 442:99] Now, although earlier we stated the custom is not to use Chametz charcoal even if it was burnt before the 6th hour, nevertheless, perhaps this custom would not extend to this situation. See https://www.kingsford.com; Currently, the Kingsford Products Company remains the leading manufacturer of charcoal in the US, enjoying 80 percent market share. See http://rockwoodcharcoal.com/; This is a S.L. Missouri based company.